Ed Glaeser is a Research Programme Director for the IGC’s Cities Research Programme. He is the Fred and Eleanor Glimp Professor of Economics at Harvard University, where he also serves as Director of the Taubman Center for State and Local Government and the Rappaport Institute for Greater Boston. He also edits The Quarterly Journal of Economics. He studies the economics of cities, and has written several papers on urban issues, including the growth of cities, segregation, crime and housing markets. He is particularly interested in the role that geographic proximity can play in creating knowlegde and innovation. He received his BA in Economics from Princeton University and his PhD from the University of Chicago (1992). In 2011, Glaeser published a book, Triumph of the City: How Our Greatest Invention Makes Us Richer, Smarter, Greener, Healthier and Happier which was shortlisted for the Financial Times and Goldman Sachs Business Book of the Year Award. 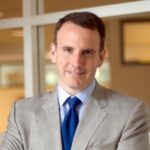 Professor Ed Glaeser outlines five key lessons for policymakers in developing countries who want to implement effective urban policies. These ideas are part of the IGC's 'Cities that Work' initiative. Ed Glaeser, IGC research programme director, explains why cities are the best pathway to prosperity and outlines three lessons from over 30 years of economics research on urbanisation.